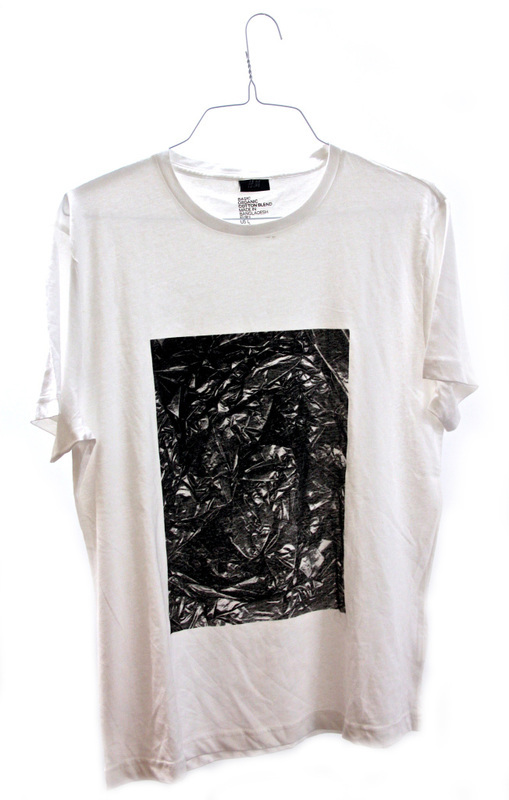 T(RASH)-SHIRT, 2012. Screen-print on t-shirt. Stills from "Aftermath", 2012. 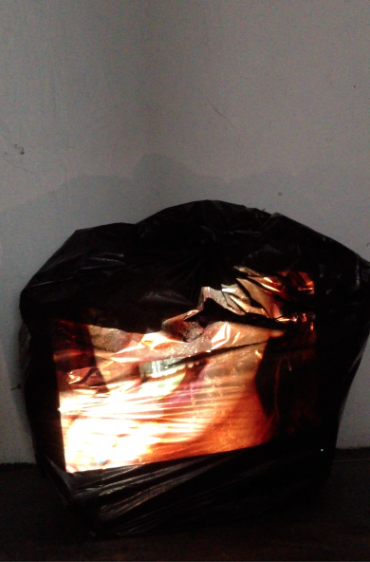 Videos projected onto three trash bags that were brought from the street. "If You Were To Be A Product That You Consume, What Would You Be?" 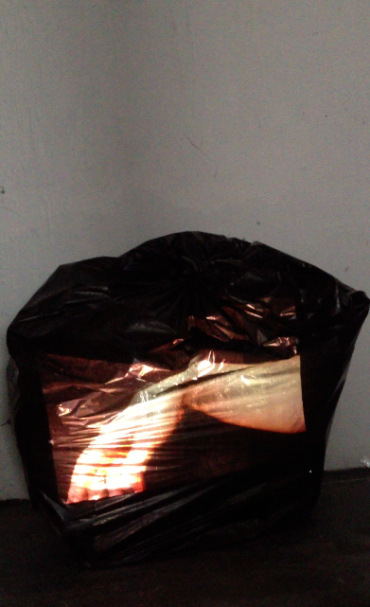 Project, 2011. People’s answers to my question. 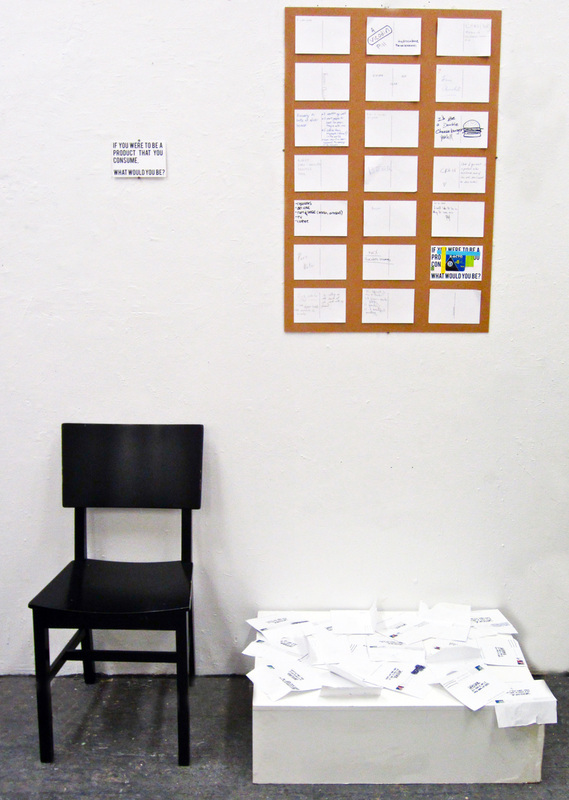 Permanent marker, pens or pencil on postcard, sheet of plywood, chair, plinth and envelopes. 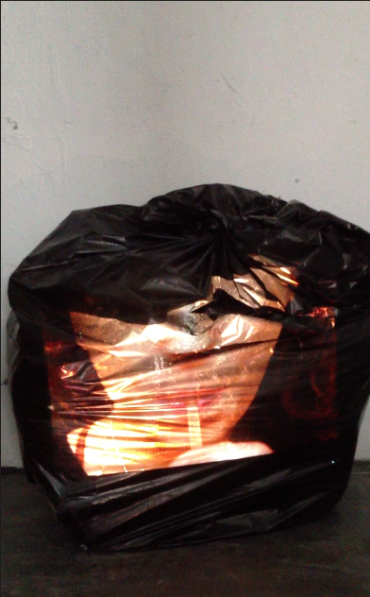 The Soul of the Consumer, 2011. 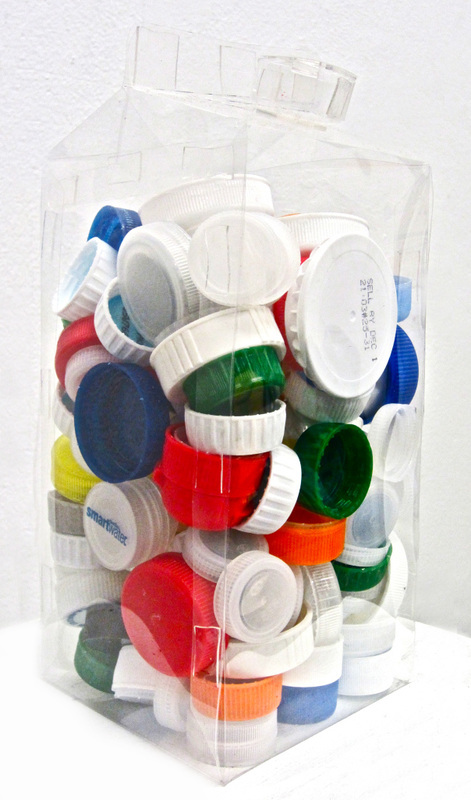 Clear mylar container and a variety of plastic bottle caps. 4 x 10 x 4 inches. Daniela (3 Weeks), 2011. Diet coke bottles and cans, Red Bull cans and coffee cups.